The DNR announced Monday that testing during the first two days of firearms deer season is scheduled to determine if chronic wasting disease (CWD) has spread from captive deer to wild deer in central and north-central Minnesota. The DNR also said a new deer feeding ban is in place until 2019 for 11 central and north-central Minnesota counties surrounding two farms where multiple captive deer were infected with chronic wasting disease. All hunters in affected deer permit areas will be required to have their harvested deer tested on Saturday, Nov. 4, or Sunday, Nov. 5. After field dressing their deer, hunters must take them to a sampling station. DNR staff will remove lymph nodes, which will be submitted for laboratory testing. Hunters must register their deer by phone, internet or in person. Harvest registration will not be available at CWD sampling stations. Central Minnesota deer permit areas with mandatory testing are 218, 219, 229, 277, 283 and 285. North-central Minnesota deer permit areas with mandatory testing are 155, 171, 172, 242, 246, 247, 248 and 249. Deer harvested in southeastern Minnesota’s permit areas 343, 345, 346, 347, 348 and 349 also are subject to mandatory testing on Nov. 4-5 because of their proximity to CWD-infected wild deer in permit area 603. 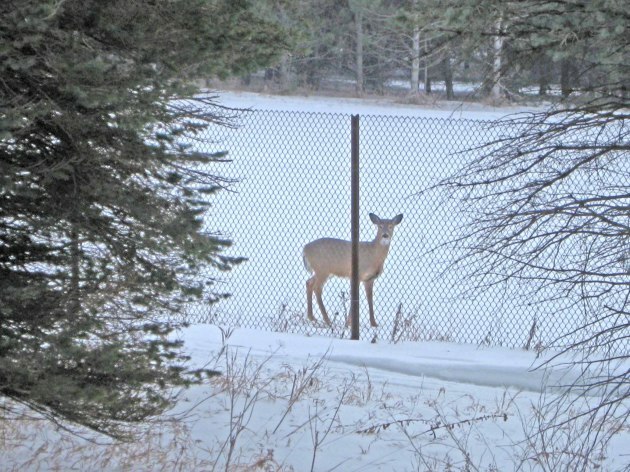 Testing in north-central and central Minnesota became necessary after CWD was found in multiple captive deer on farms near Merrifield in Crow Wing County and Litchfield in Meeker County. Test results will determine whether CWD may have been passed from these captive deer to wild deer. For sampling to accurately detect whether CWD exists in wild deer, the DNR wants to collect 3,600 samples in the north-central area, 1,800 in the central area and 1,800 in the southeast. Meanwhile, Cornicelli said that the feeding ban in central and north-central Minnesota is precautionary. “Wild deer in these areas are not known to have CWD. These feeding bans are a proactive step to keep CWD at bay,” he said. Central Minnesota counties affected by the ban are Kandiyohi; McCloud; Meeker; Stearns; Wright; and the portion of Renville County north of U.S. Highway 212. North-central Minnesota counties affected are Aitkin; Crow Wing; Morrison; the portion of Cass County south of Minnesota highways 34 and 200; and the portion of Mille Lacs County north of County Road 11. In Fillmore, Houston, Olmsted, Mower and Winona counties, a ban on deer feeding and deer attractants that has been in place since December 2016 remains in effect through Wednesday, June 27, 2018. The southeast Minnesota feeding ban includes attractants such as deer urine, blood, gland oil, feces or other bodily fluids. These products include such things as bottled estrus and mock scrape drips. People who feed birds or small mammals must do so in a manner that prevents access by deer or places the food at least six feet above the ground. Food placed as a result of normal agricultural practices is generally exempted from the feeding ban. But cattle operators should take steps that minimize contact between deer and cattle. The new deer feeding ban for central and north-central Minnesota became effective Monday, Aug. 28, and extends through Thursday, Feb. 28, 2019. More information about the precautionary feeding ban and mandatory CWD testing are available on the DNR’s website at mndnr.gov/cwd. Antlerless deadline for some deer hunters is Sept. 7.